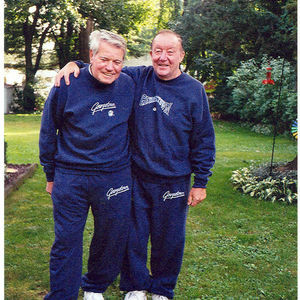 Jack M. Littlejohn, of Windsor, beloved husband, father, and grandad, passed away Thursday, November 20, 2008 in Windsor. Jack was born in Glasgow, Scotland on February 21, 1939 to the late George Littlejohn and Margaret Marshall Littlejohn. Jack completed his primary education in Airdrie, Scotland and later became a certified electrician after serving a two-year apprenticeship. In 1959, he married his sweetheart, Ethel Cooper Redpath, in Airdrie, Scotland. The young family moved to the United States in 1965 and eventually settled in Windsor, CT. Jack Littlejohn enjoyed many memberships in civic and social organizations including, the British Overseas American Club and the Masonic Lodge (Scotland). He was an enthusiastic card player and enjoyed playing Set Back with friends at the Windsor Senior Center and the Elks. Jack and Ethel traveled the globe together visiting beautiful places like Australia and Brazil. In his leisure time, he enjoyed golfing. Jack M. Littlejohn is loved and mourned by his devoted wife Ethel; son, Jack M. Littlejohn & wife Jane of Chesapeake, VA; twin daughters, Deborah Chase and her husband Robert and Margaret Craig and her husband James both of Windsor; four adored grandchildren, Heather and Alec Littlejohn and Allison and Matthew Craig; and two sisters, Margaret Beattie and her husband Robert of Palm City, FL and Christine Fairly and her husband Henry of Motherwell, Scotland. He was preceded in death by his son, George Littlejohn; his parents; and a brother Freddy Littlejohn.